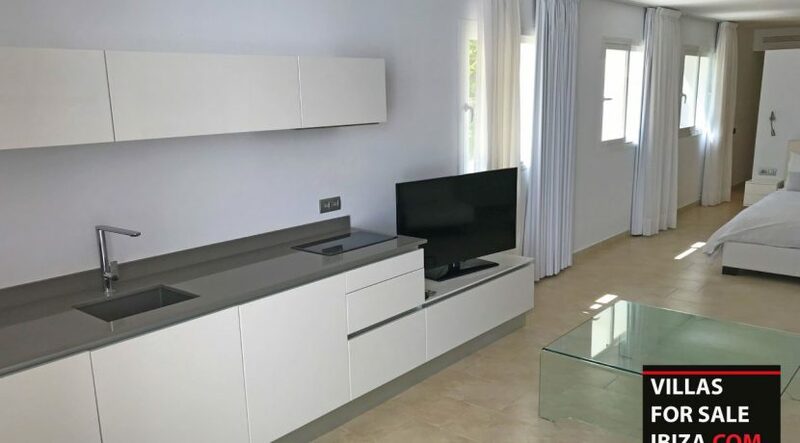 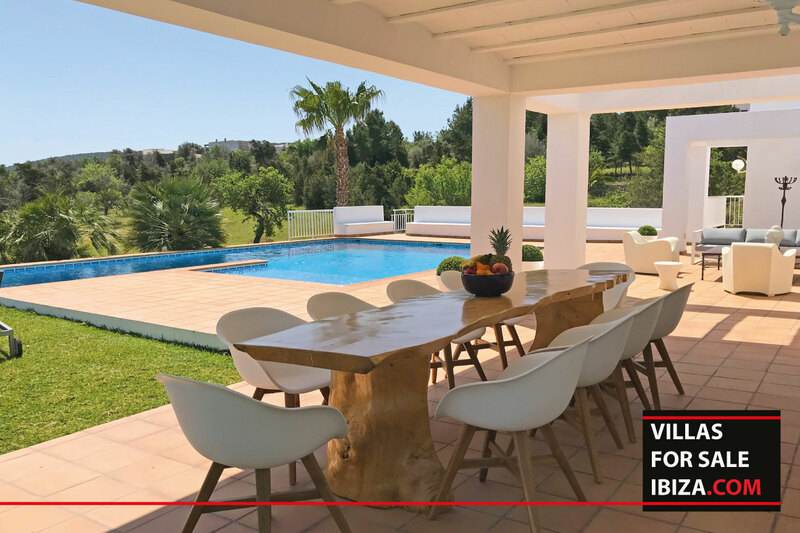 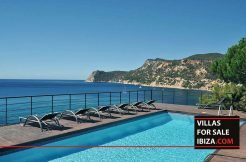 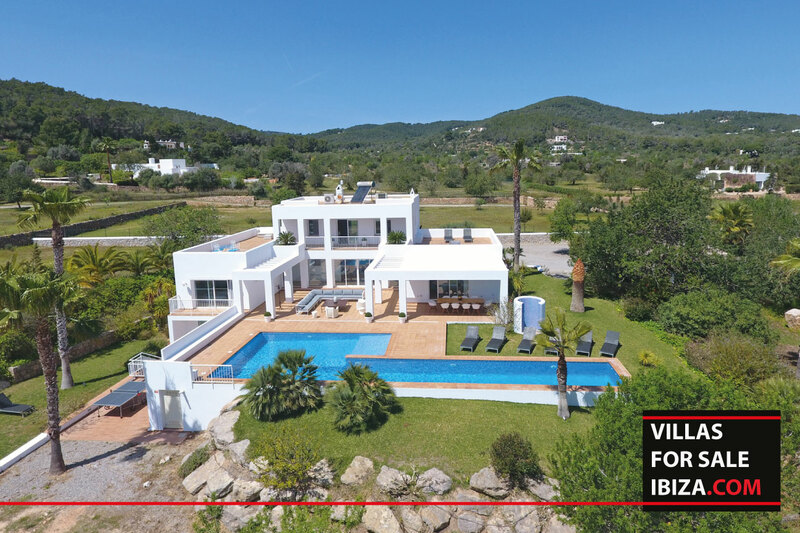 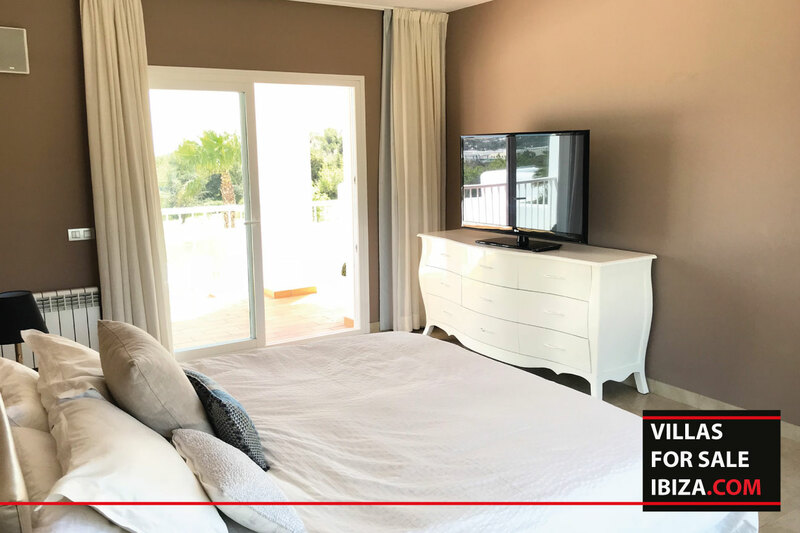 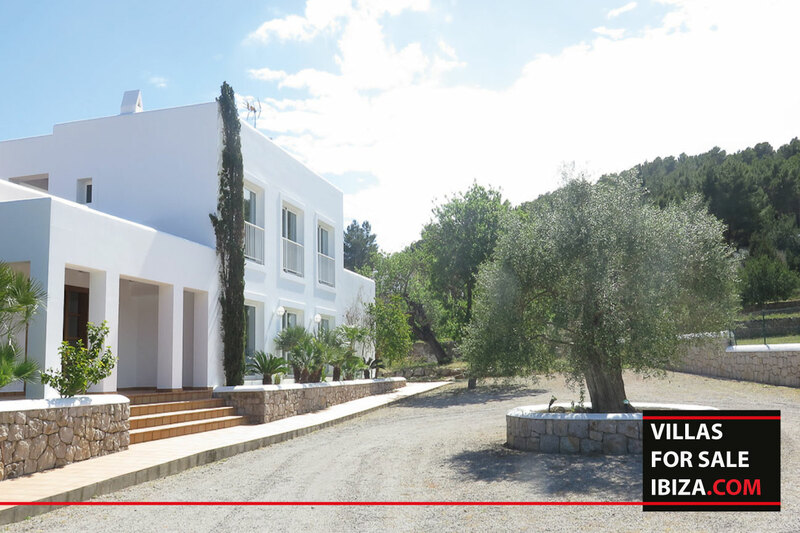 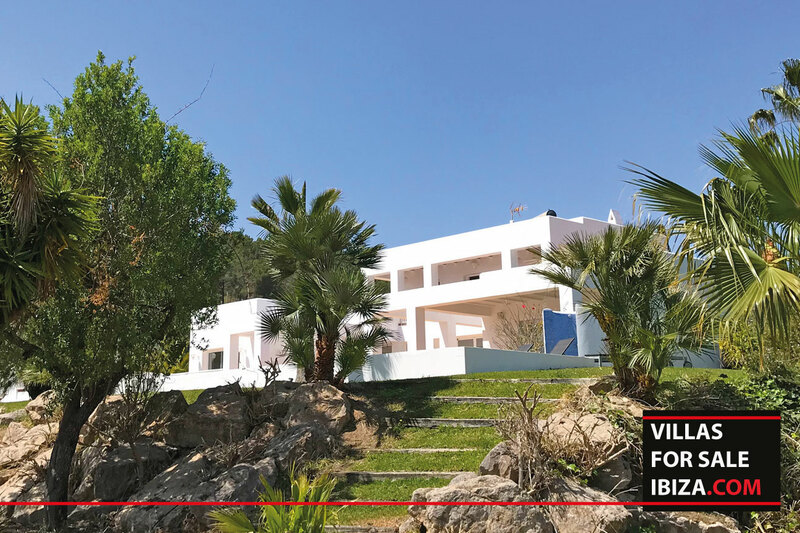 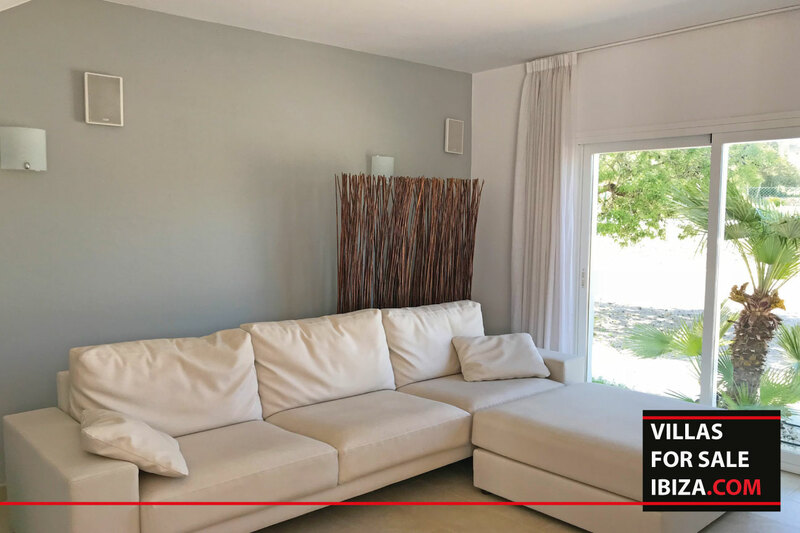 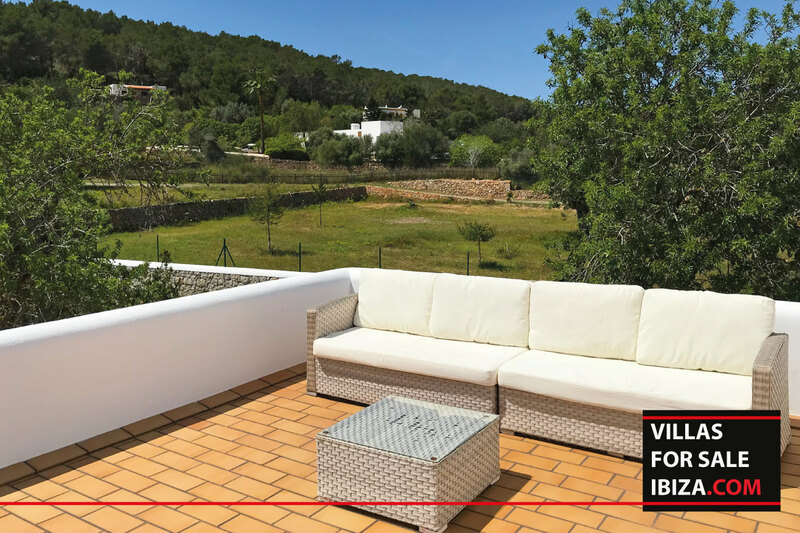 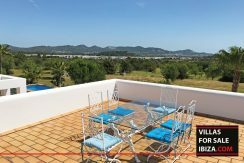 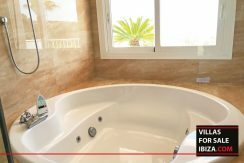 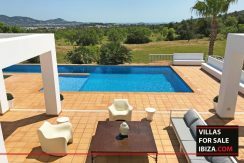 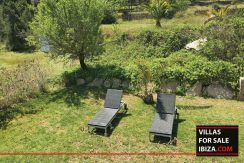 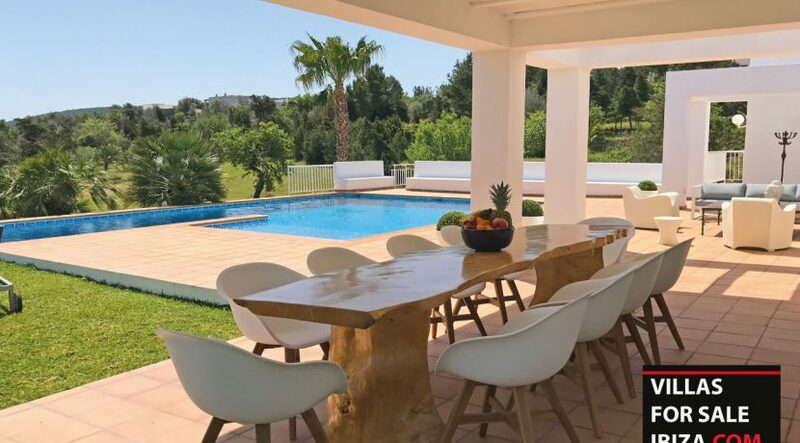 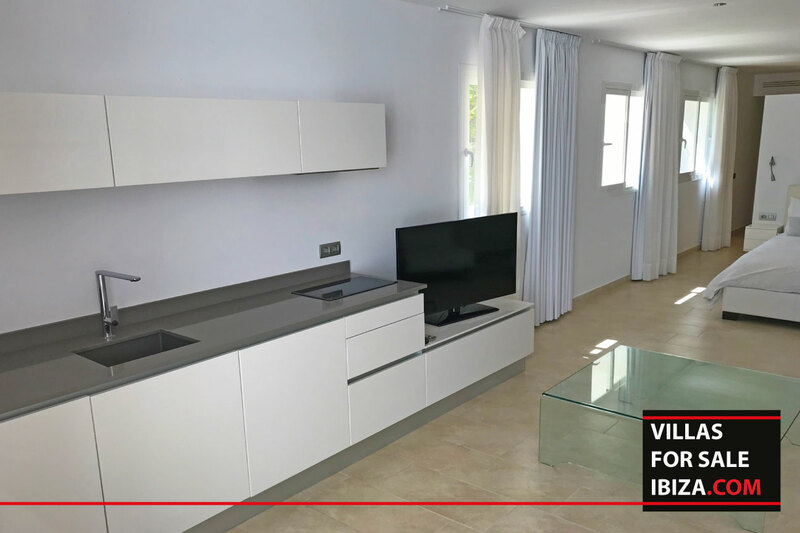 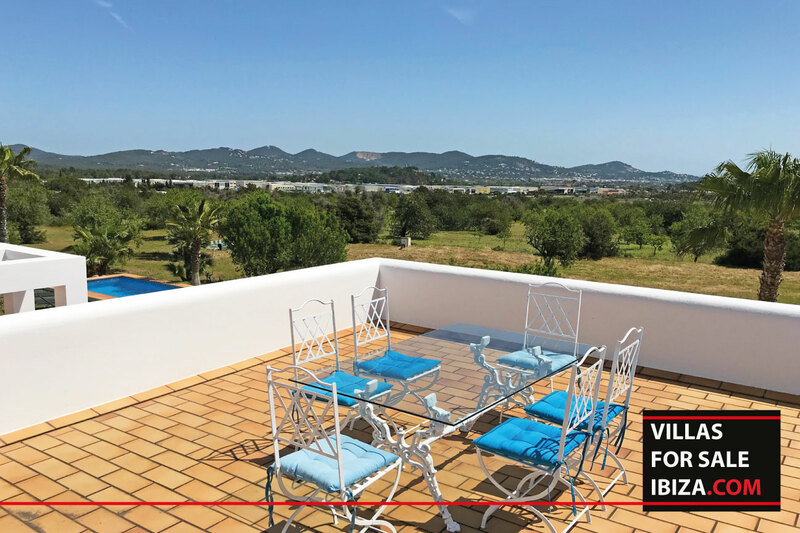 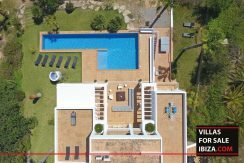 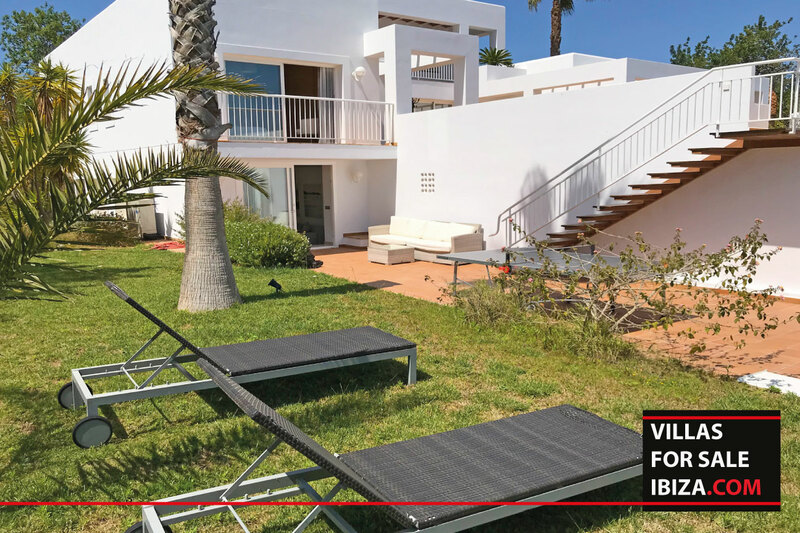 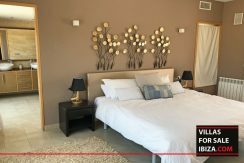 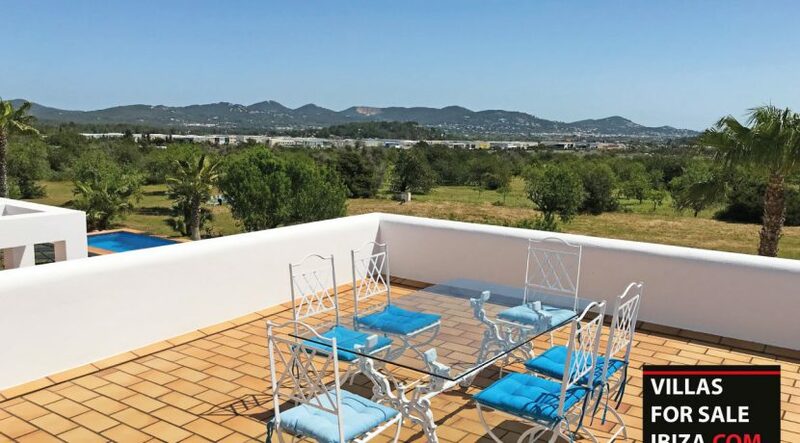 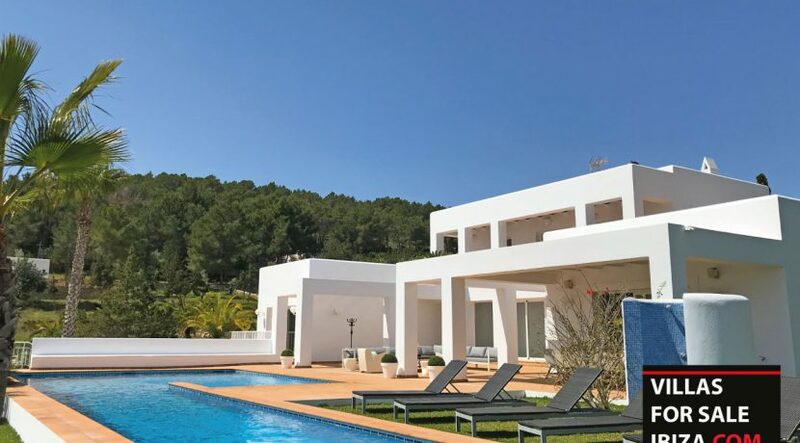 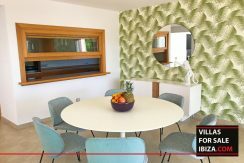 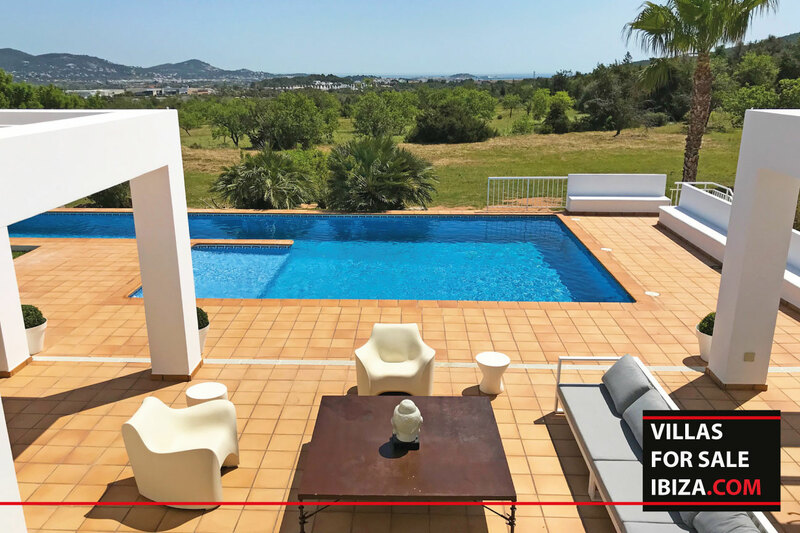 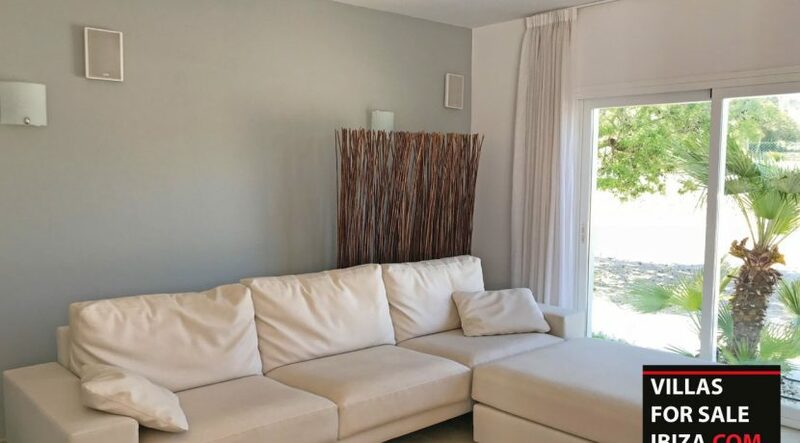 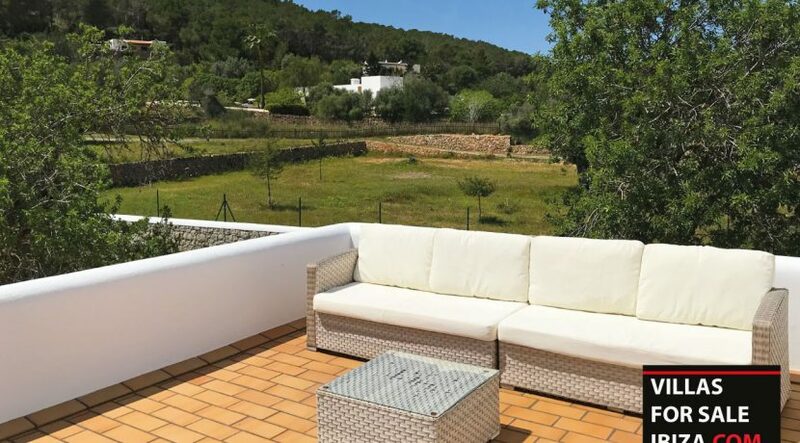 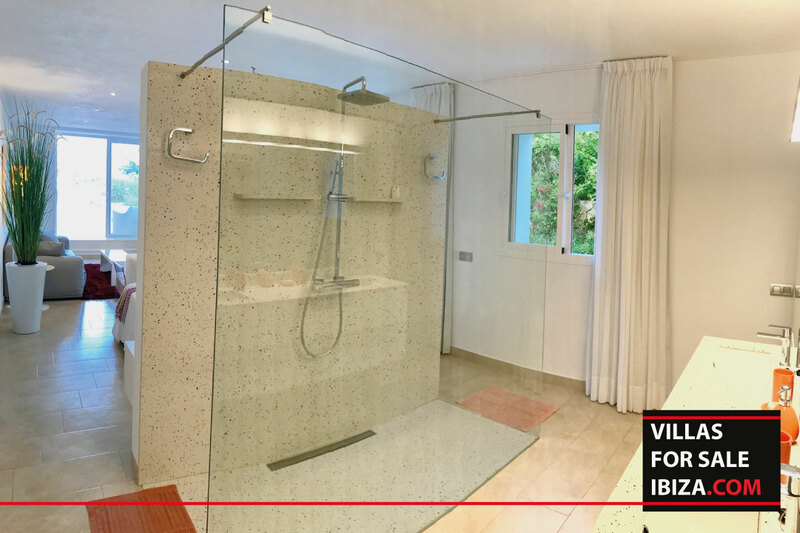 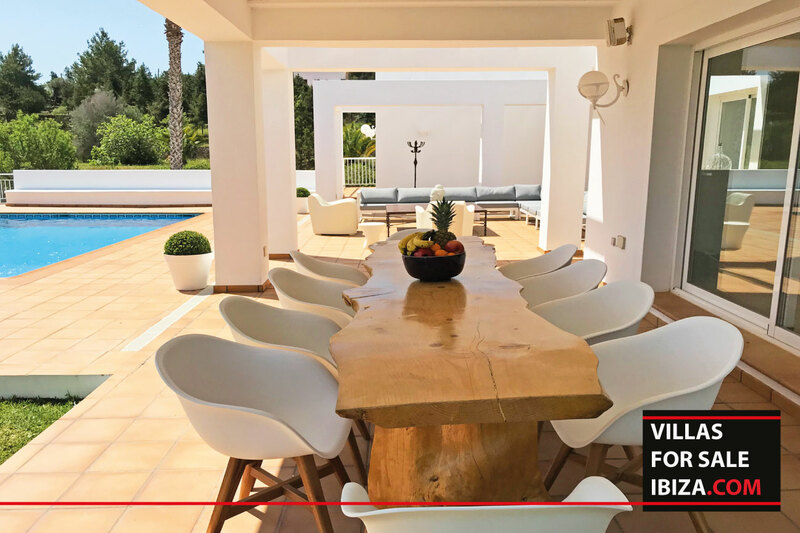 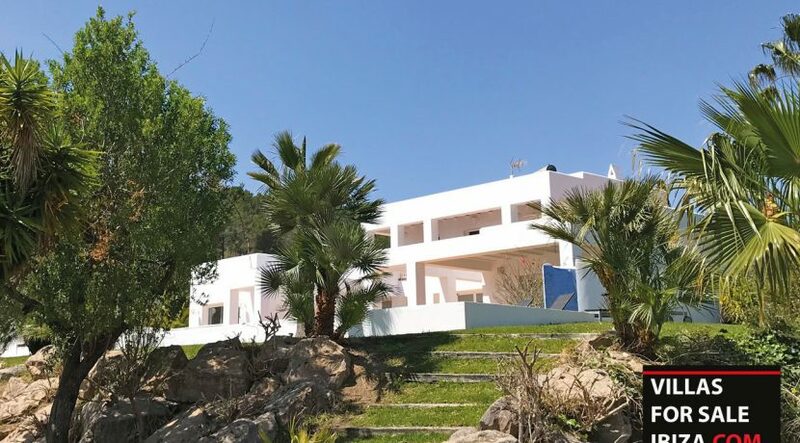 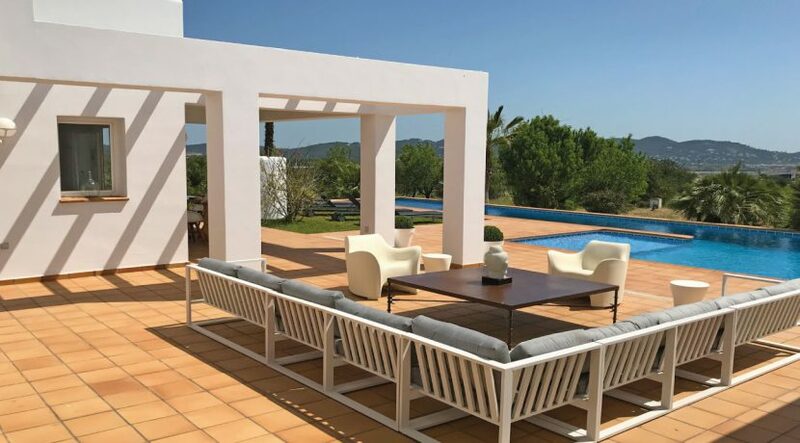 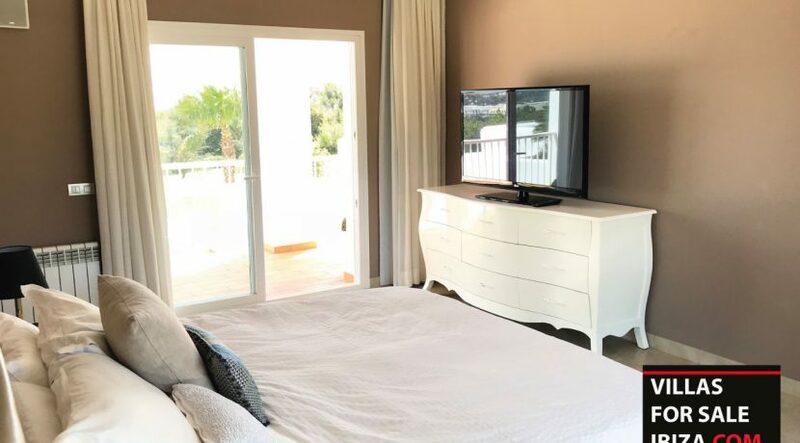 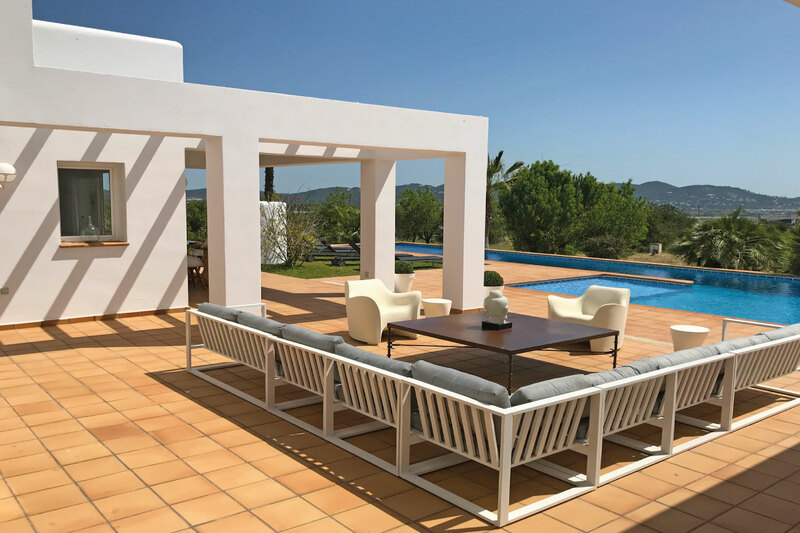 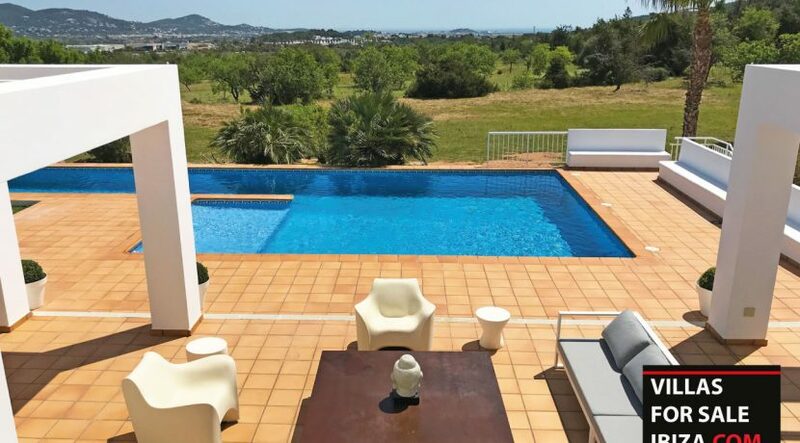 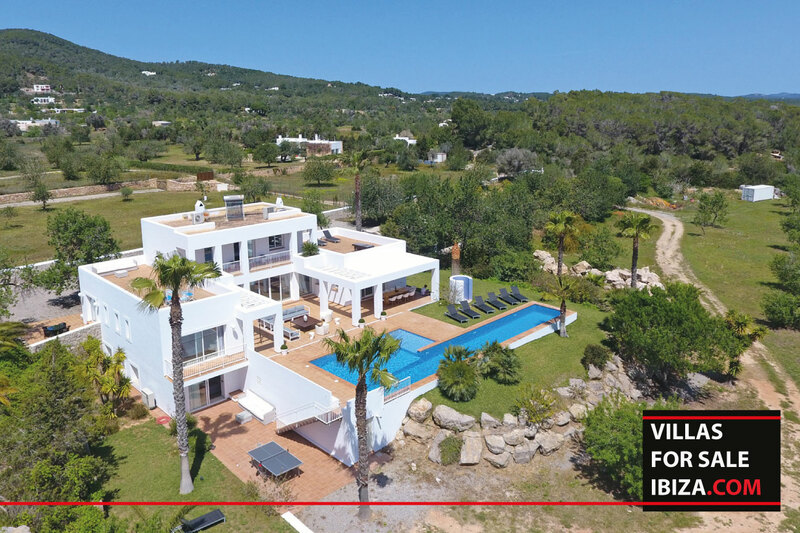 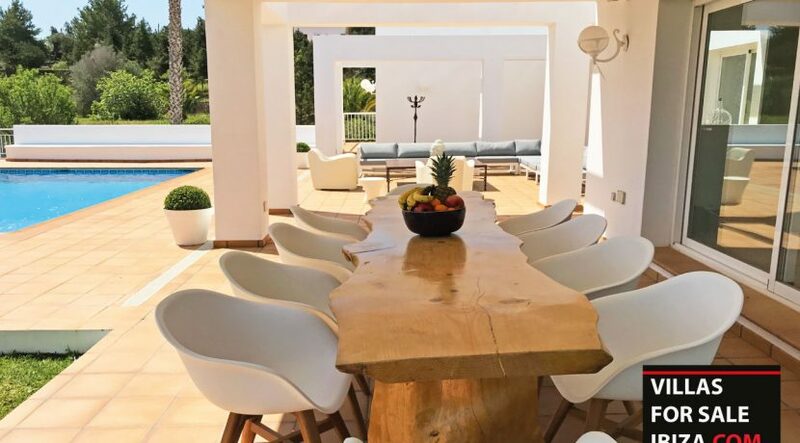 VILLA FOR SALE – Brand new construction located in the country side of San Rafael and only few minutes away from Ibiza town. 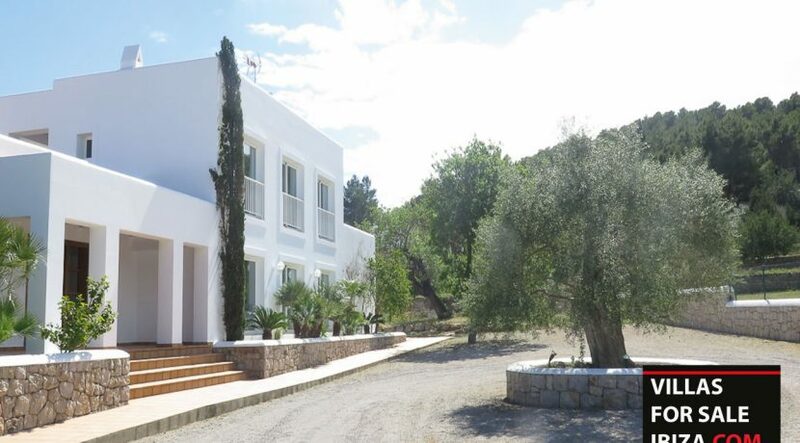 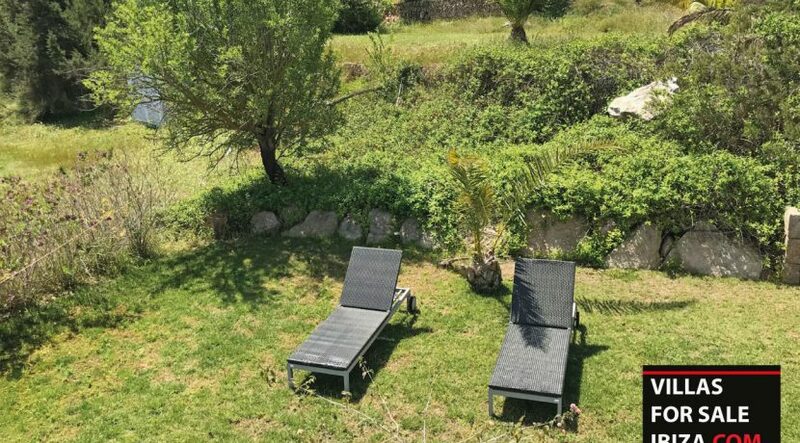 The land is 20 000 m2 of peace and quiete surrounded by grass and trees. 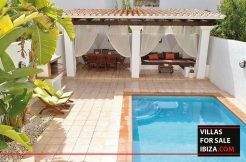 The backyard offers a magnificient view and an immense pool area with large sunbeds, chill out area and a dining terrace. 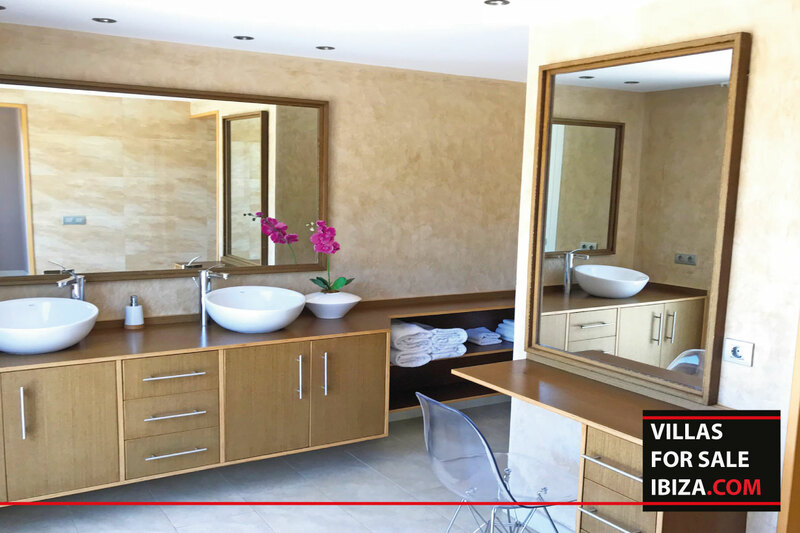 The spacious villa of 350m2 has everything to make your stay comfortable and safe, with its alarm system. 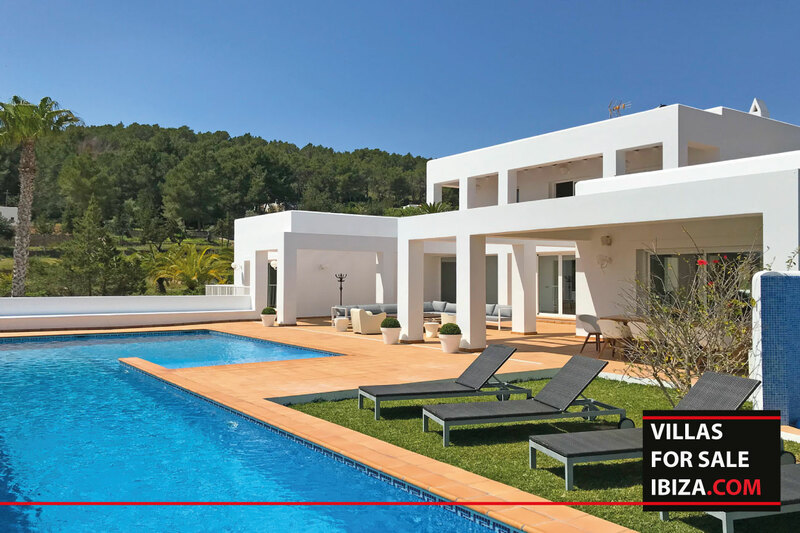 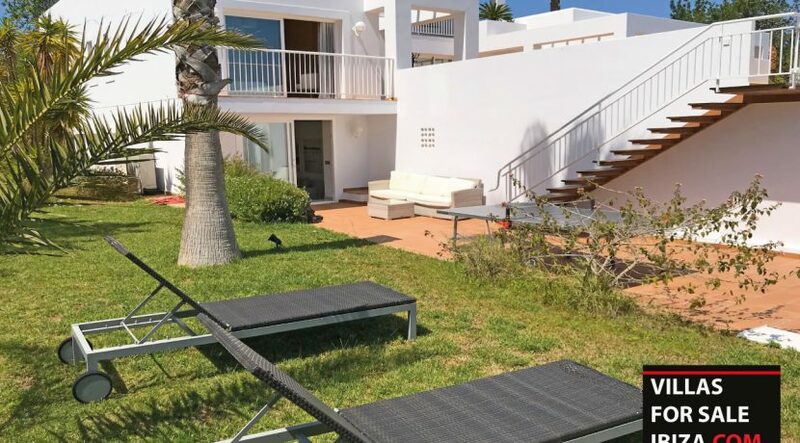 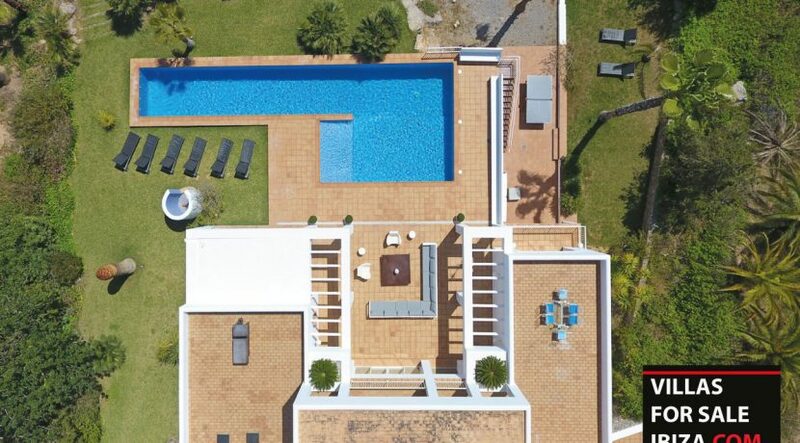 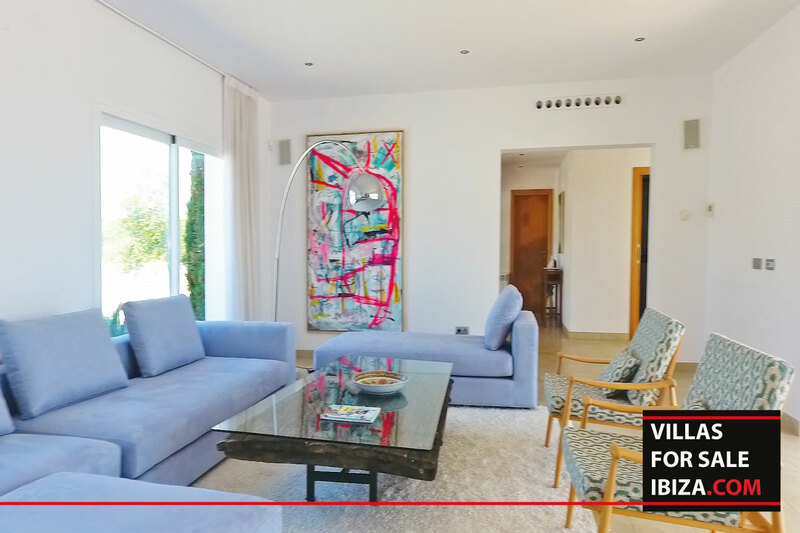 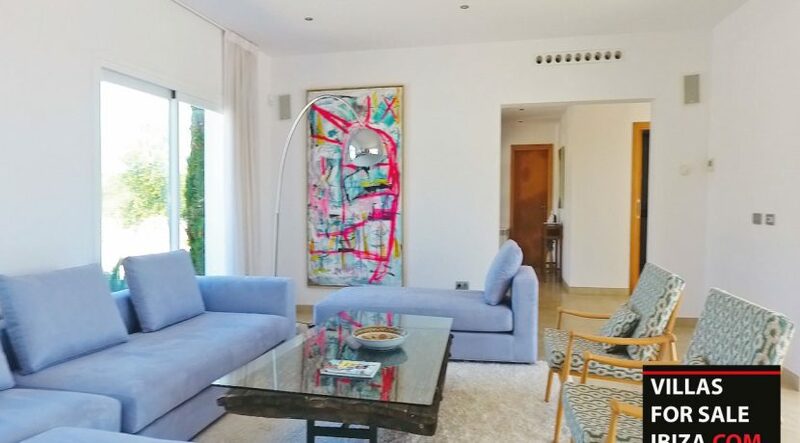 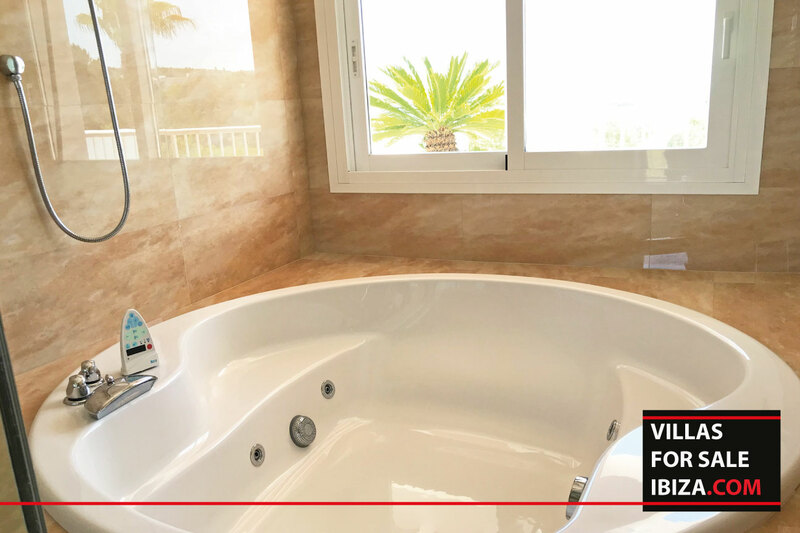 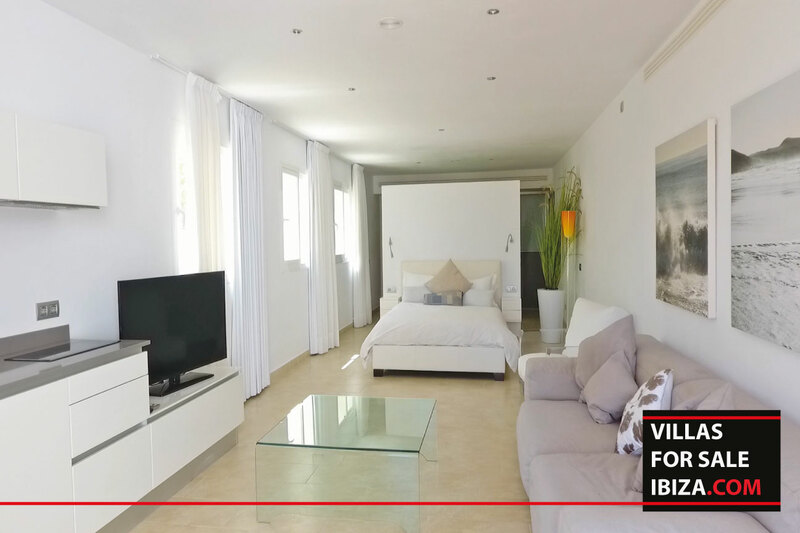 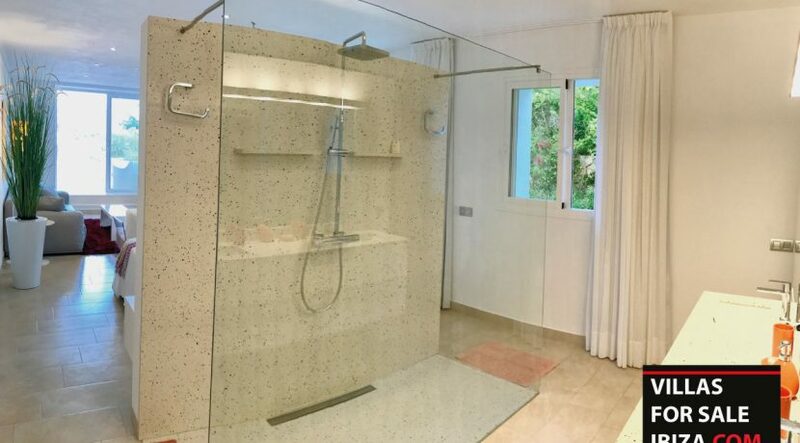 This beautiful modern villa is built on 3 floors equipped with air conditioning and heating system. 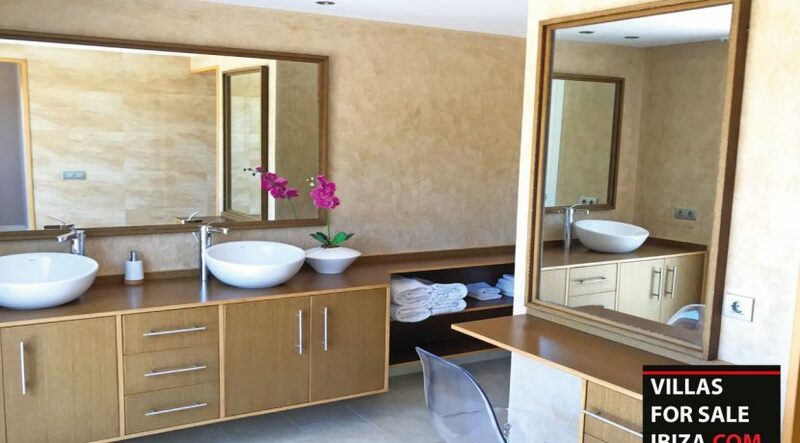 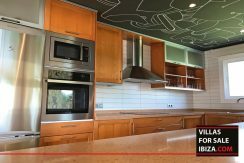 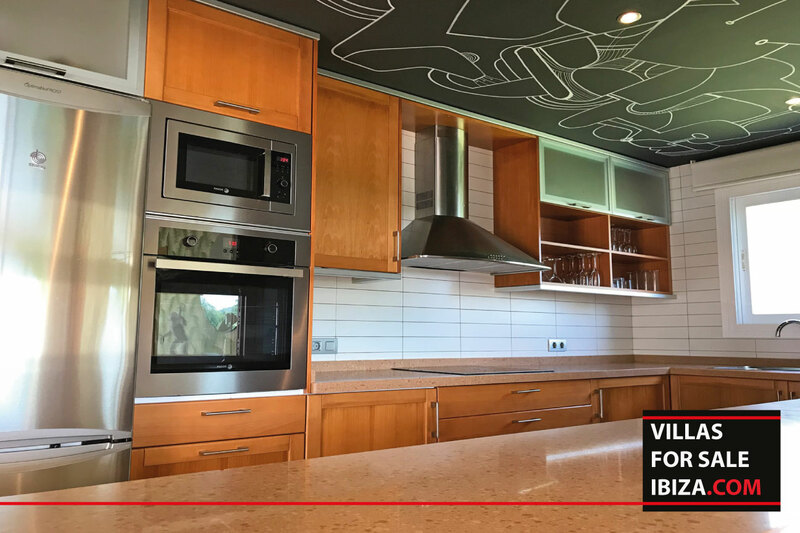 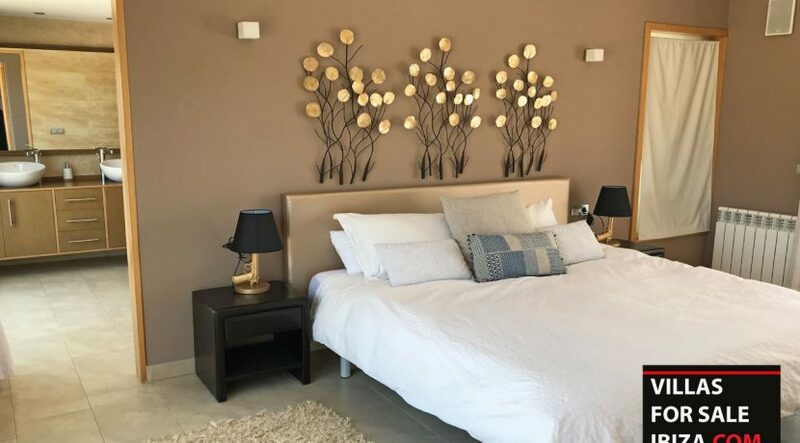 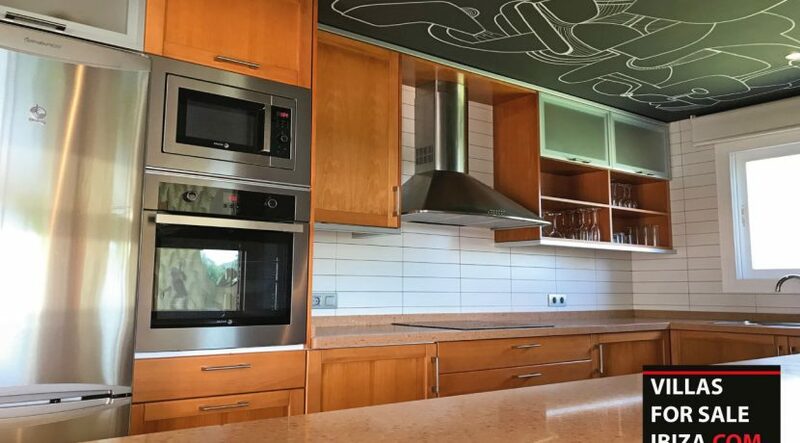 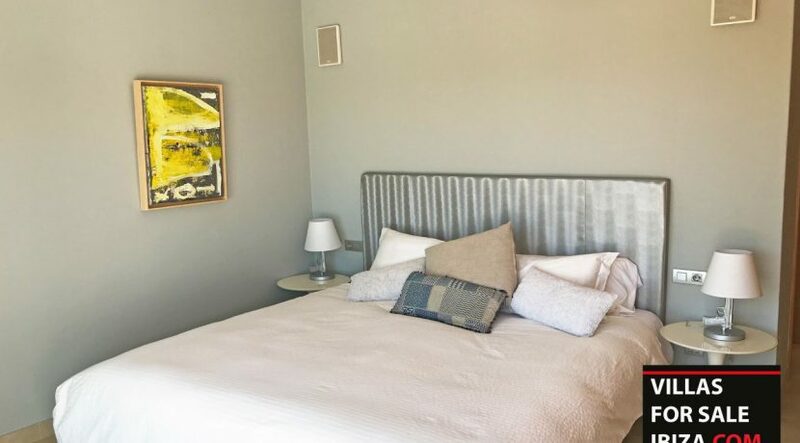 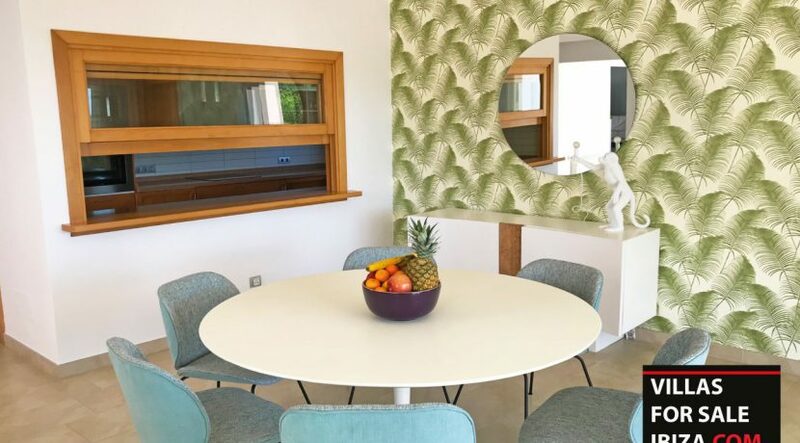 The villa offers a modern fully equipped kitchen, an open space dining area separated from the living room by a charming double faced fire place, a total of 4 bedrooms and 3 bathrooms. 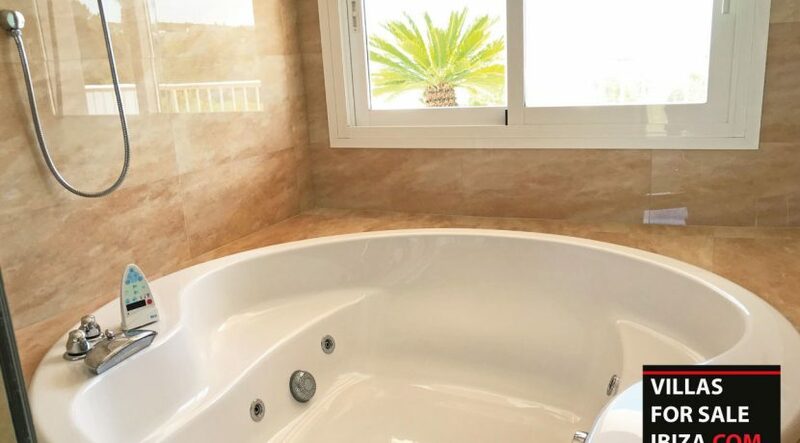 On the top floor you will find the master bedroom with a walk in closet and a spacious bathroom with jacuzzi, shower, double sink counter and large cabinets. 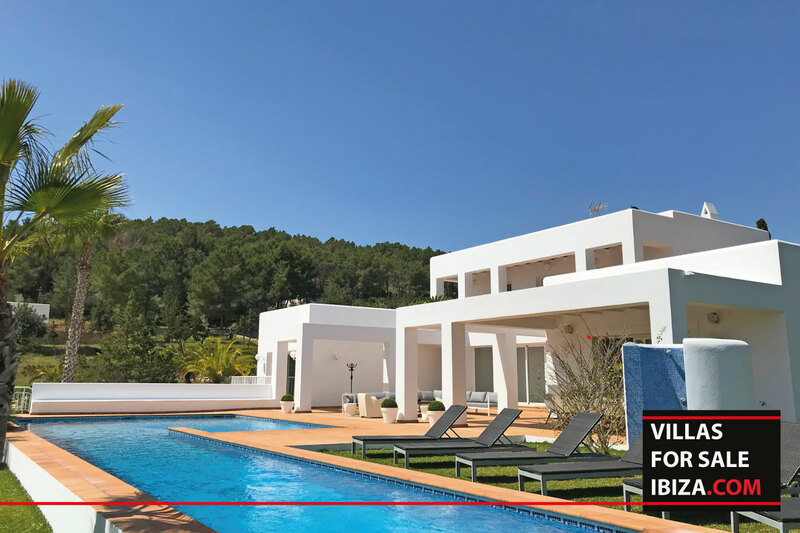 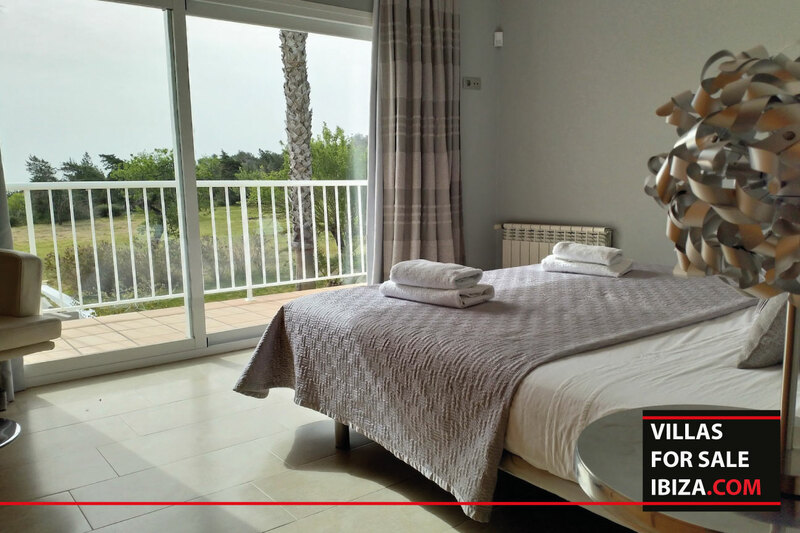 A large balcony is accessible directly from the master suite, where you can admire the pool view with Ibiza town in the back ground. 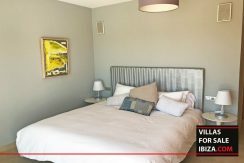 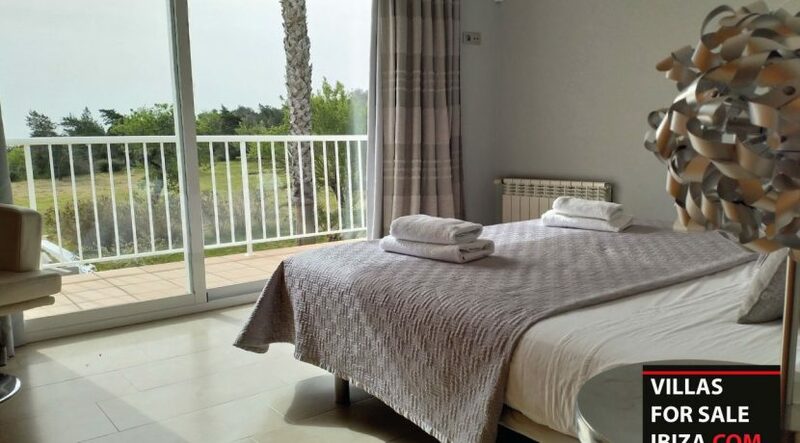 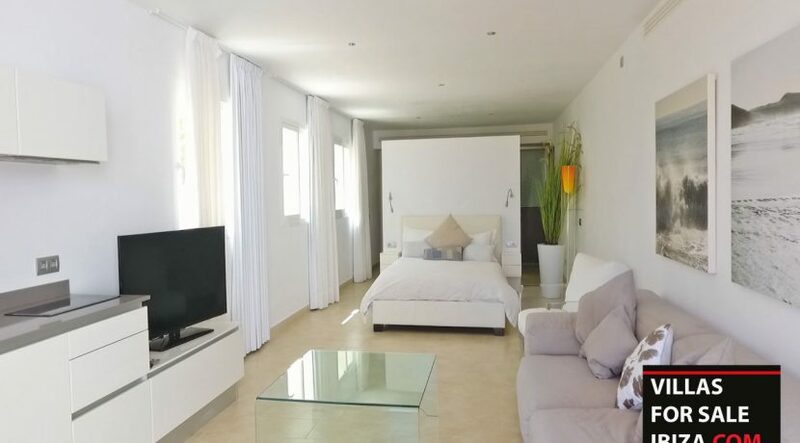 This villa also includes a 1 ensuite bedroom apartment.